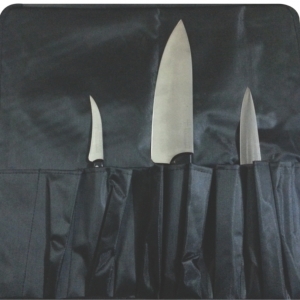 We are pleased to introduce ourselves as a leading manufacturer and exporter of Hotel Kitchen Knives to Hotels and Restaurants. 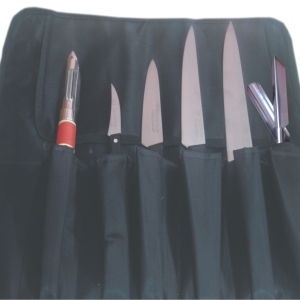 Remington Steel Arts offers a wide range of kitchen Knives which are fully forged to shape from high tough, Carbon Stainless Steel that ensures greater edge retention and having aesthetically designed and hygienically fit handles for long time use. Remington Knives are precisely handcrafted & finished and more sharper than the conventional knives. They have full length tang for perfect balance and easier & less tiring cutting. 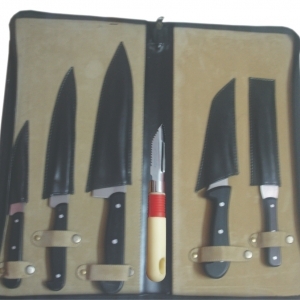 Remington Knives are appreciated and preferred by the Experienced chefs due to its ‘sharp’, long lasting edges, user friendly shapes sizes and a wide range. 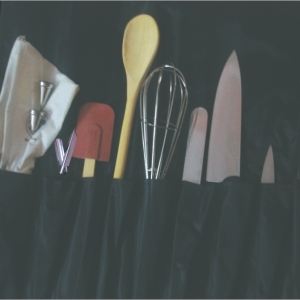 They are created by analyzing and solving every last problem encountered by the professionals and chefs who uses these tools everyday. Red – Raw Meat Section. Brown – Cooked Food Section. 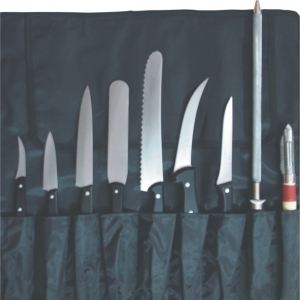 Remington Knives range is very comprehensive and includes French Cook’s Knives, Paring Knives, Turning Knives, Steak Knives, Bread Knives, Pallette Knives, Butcher Knives, Vegetable Knives, De-Boning Knives, Fruit Knives, Fillet Knives, Choppers, Carving Knives, Decorating Knives, Slicing Knives, Bent Spatula, Mincing Knives, Cleavers, Heavy Duty Can Openers and many more. All the products are manufactured in India.